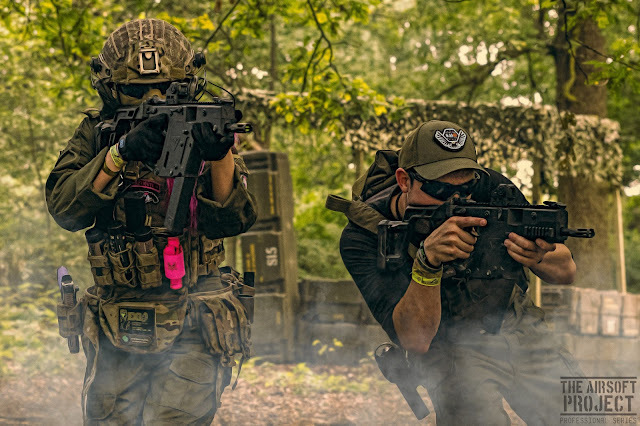 As an airsofter, when you get a call saying ‘Would you like to attend Paintfest 2017?’ I think we all can agree that you’d be a little bit hesitant but when I was told that this was the first year they would also be running a series of airsoft games I decided to keep an open mind and accept the invite. Now admittedly, I’ve never played paintball and being a fair weather airsofter I don’t fancy the thought of washing out paint from my kit – shudders – but as they have teamed up with Fireball Squadron to bridge the gap between the airsoft and paintball communities I definitely thought this would be an event worth going to! Although not many like to admit it, our sports are not worlds apart like we sometimes like to believe, especially the magfed aspect to paintball. Paintfest is held annually at NPF Bassetts Pole in the West Midlands, one of the most well-known paintball sites in the UK and is a huge festival where teams and players from around the world attend to sling some paint, compete in competition tournaments, enjoy a huge players party and get the chance to check out all the new paintball kit from some of the biggest names in the paintball industry. 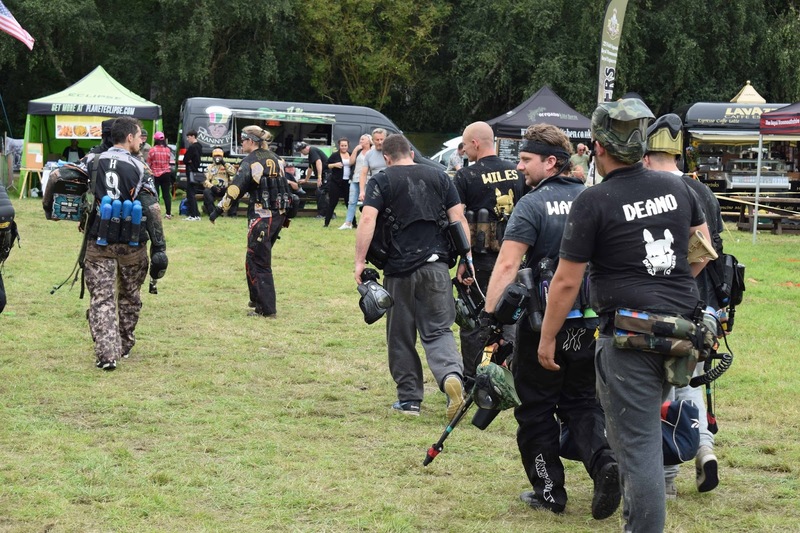 The event is centred around a huge festival arena area that holds the trade stands, food vendors, the bar area and the player party arena with the Fireball Squadron and NPF paintball fields (both tournament and magfed) in the surrounding areas that are a short walk away. 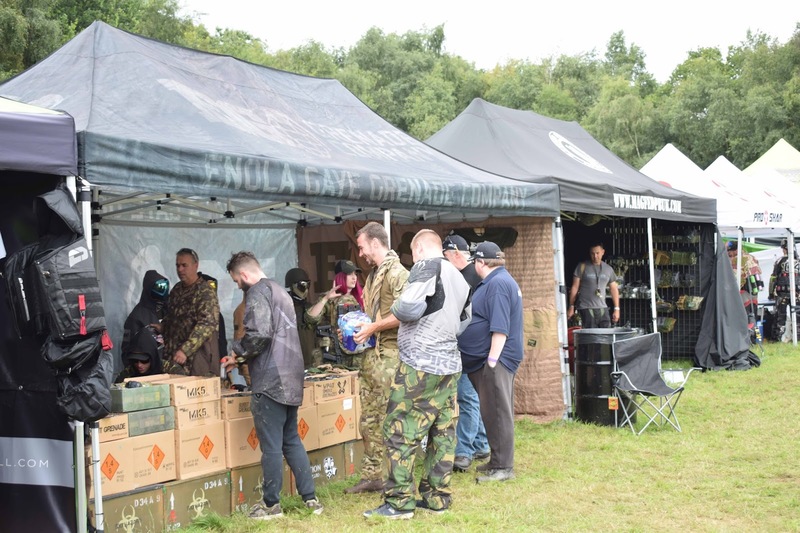 On-site there was an abundance of retailers that appealed to both airsofters and paintballers alike including Enola Gaye, Action Sport Games, JD Airsoft, magfedpb.co.uk, Pro Shar, Dye, Warped Gear, Valken and many others where players could purchase new kit. 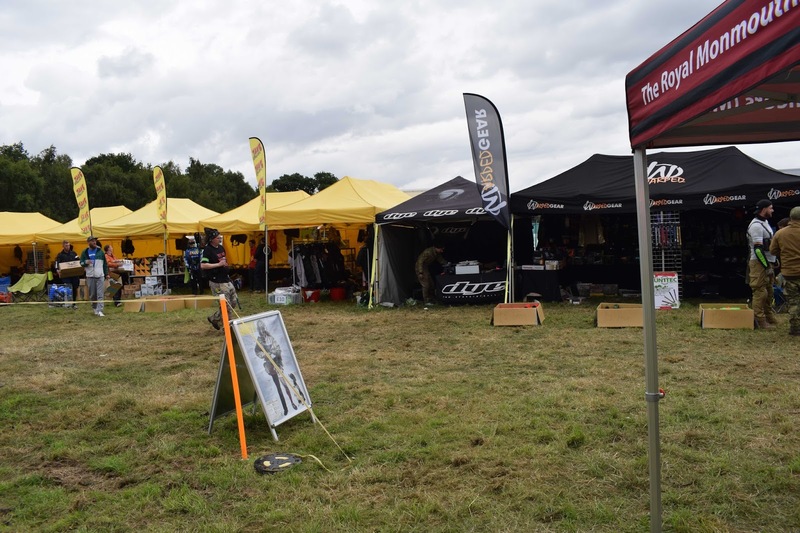 Onsite this year there was also a large selection of food vendors including Indian cuisine, Caribbean cuisine, Italian cuisine, burgers and even a coffee shop so attendees are well looked after during the event – a perfect option if you don’t want the hassle of bringing food and cooking it yourself over the weekend or you just want a snack on the way back to your tent! 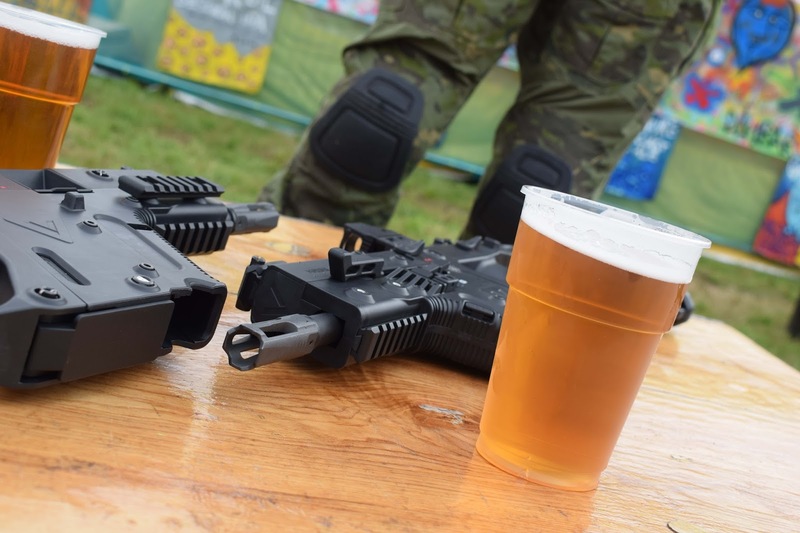 The ticket price of £90 includes camping for the duration of Paintfest (Friday to Sunday) and the facilities are actually very good. The camping area for players is a huge field adjacent to the festival area where attendees can set up tents, caravans and motorhomes and have their cars parked next to their camp if they wish (something I really like because it means you can keep all your expensive kit safe in the car!) 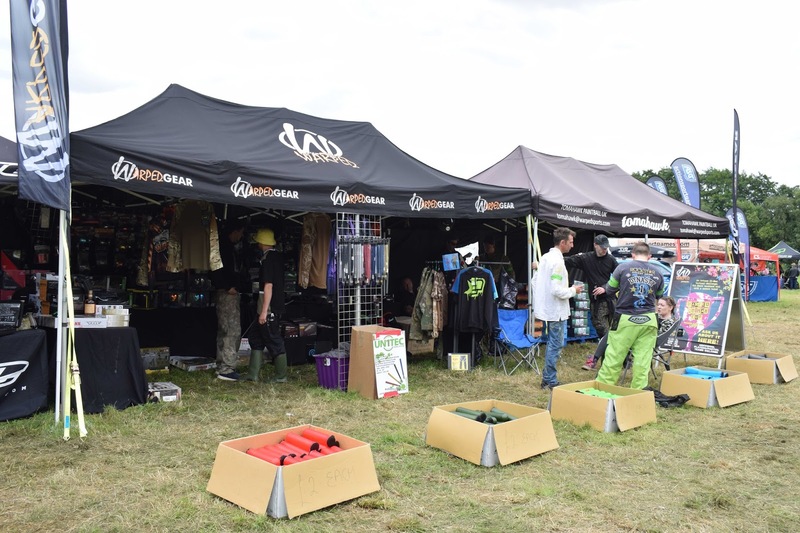 If you choose so, there is the option to purchase bands that enable you to use the shower block on site and they have plenty of portaloos dotted around the camping and main arena areas. 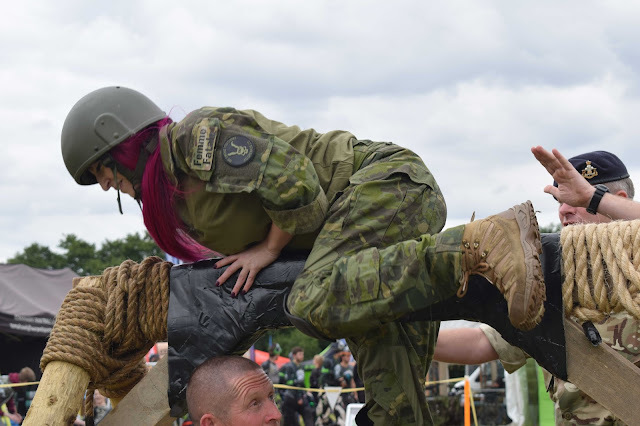 My only pet peeve regarding the facilities were men using the women’s portaloos (when their own portaloos were vacant), which is no fault of the organisers, but I do believe players should be more considerate regarding the portaloos given the significantly higher male to female ratio on site. We also had a mission to defend the towers where our team had to make their way from our respawn to the towers located on the other side of the side, again we crawled through the undergrowth to make our way through the trenches to avoid being seen by the other team, once we had made our way to the towers undetected we set up a defensive perimeter around them and waited for the clock to count down the allocated time, however about 7 minutes in we were bombarded with enemy players and it was an intense firefight. One thing about the site is that the forest is so dense that you can’t see much, meaning fire can come from any direction and you can have no idea where it’s coming from which is both unnerving and exhilarating. 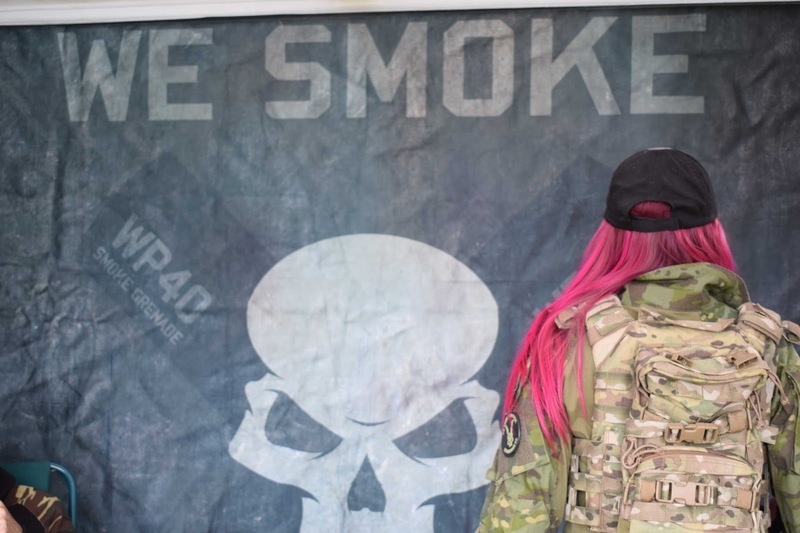 There was smoke and pyro going off in all directions which only added to the overall atmosphere. 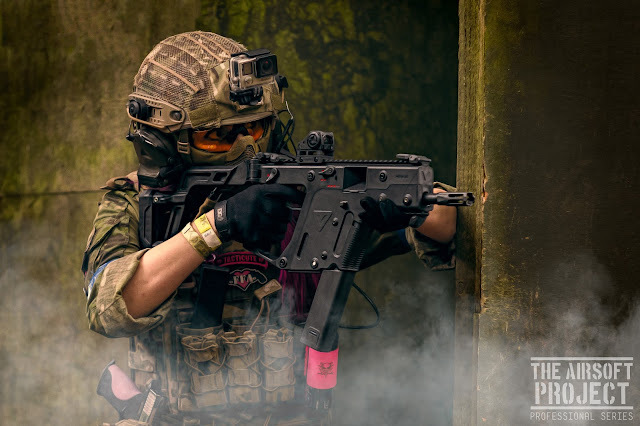 The Fireball Squadron site took me pleasantly by surprise, many of you will know that my usual poison of choice is intense, hard hitting CQB and as a result of that, I don’t play a lot of outdoors sites unless it is an urban game or a MilSim. 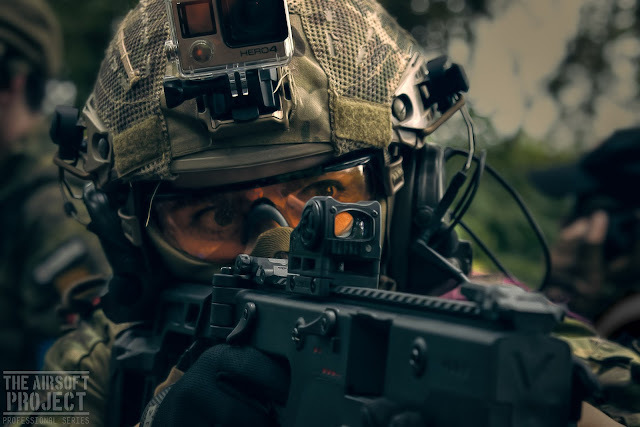 However, the Fireball Squadron site is a dense, thick woodland that is so close in areas that you can have a member of the opposite team standing next to you in the brush and not notice! 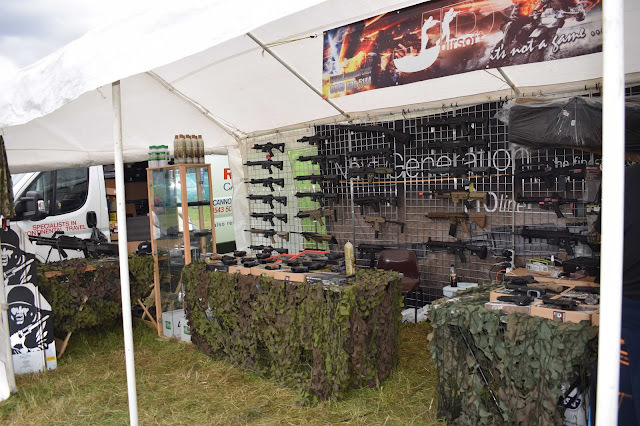 It is a maze of shrubbery with some large open spaces filled with wooden buildings, jeeps and other structures that make excellent cover and as we were pretty lucky with the weather during the day, the site was really pleasant to play. Coupled with the cool missions we embarked on this made for some really awesome gameplay. 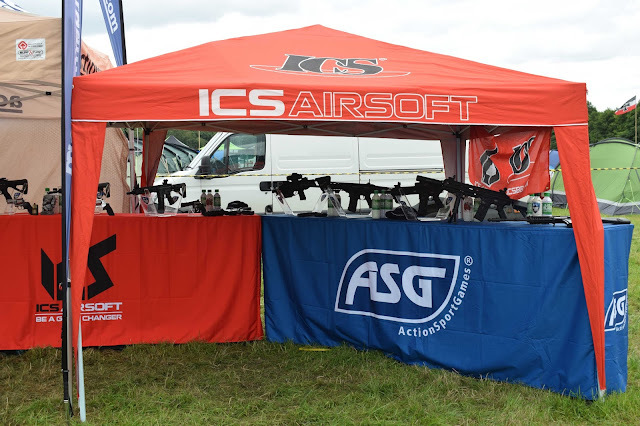 The marshals ran the games really well and to my knowledge, there were no issues over the weekend! The team ran a really tight ship! After we had finished playing for the day we went out into the festival area to check out the retailers, enjoy a bevvie and socialise with the other players. On Saturday evening is the absolute highlight of the weekend - the Paintfest Players Party! A huge celebration with live entertainment. From 8 pm on Saturday, players enjoy free drinks including beer, wine, cider and spirits (players ticket fees and sponsorships from companies such as Enola Gaye enable Paintfest to provide complimentary drinks) and live entertainment including DJs and the annual Miss and Mr. Paintfest competition which sees attendees compete for the title. It is honestly a night full of laughter and utter hilarity. Although it rained pretty hard during the player's party the NPF staff were handing out ponchos and their energy on stage kept everyone going. The atmosphere at the player's party was absolutely insane and really enjoyable to be around. On Sunday, despite a few fuzzy heads, the carnage continued on both sides of the field. 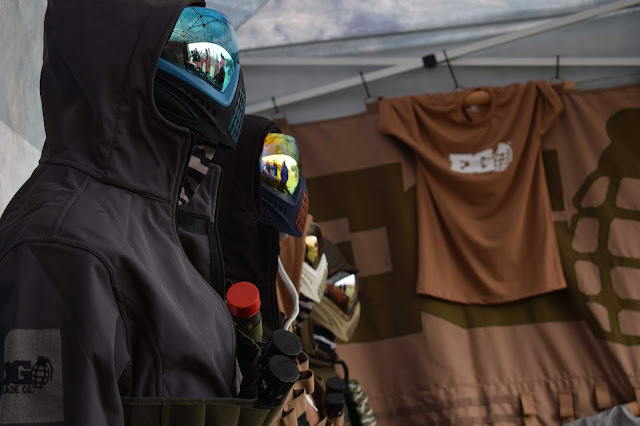 Sunday is the last day of the festival for both the paintball and airsoft players to score points for their sides and the last day of the tournament paintball games. 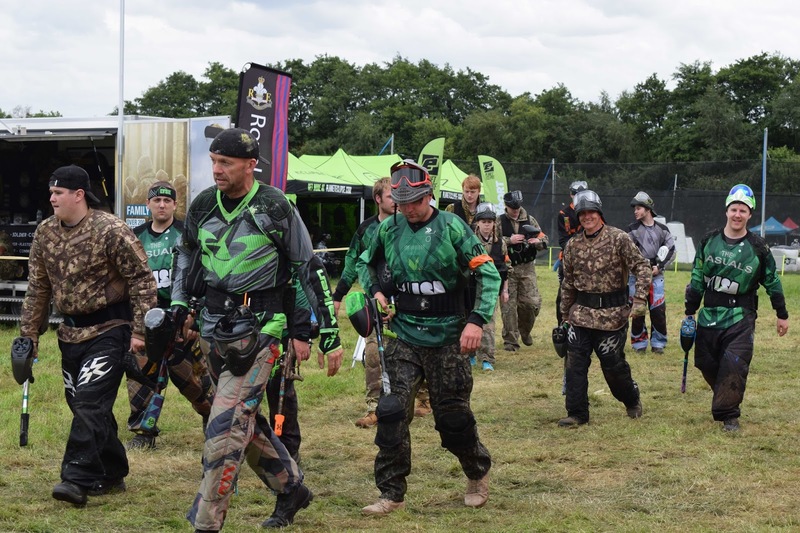 All the points gained by the teams over the weekend go towards the final score for the weekender, and these, in turn, are added to each side ongoing yearly battle to beat the other side! Overall I had an amazing time at Paintfest 2017 and I urge airsofters to give it a go if they are able to! 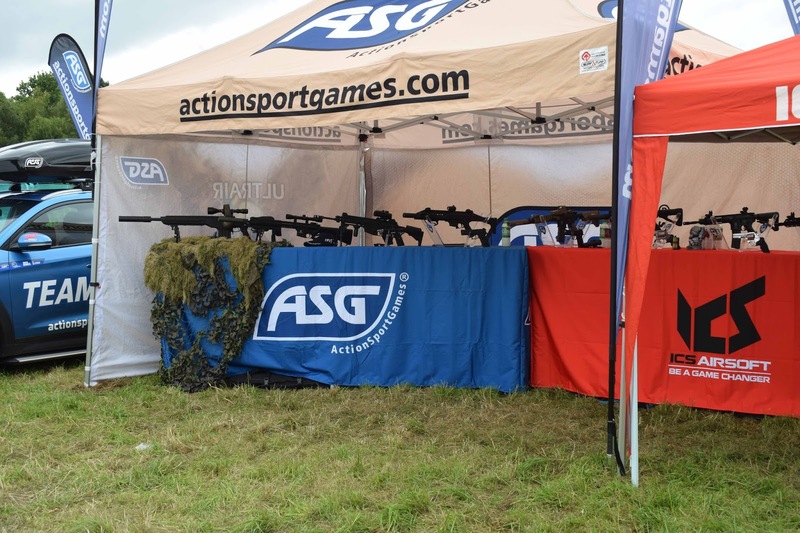 The bigger the demand for airsoft at the festival means more airsoft at Paintfest and how cool would it be to have not 1 but 2 awesome festivals for airsoft every year?! 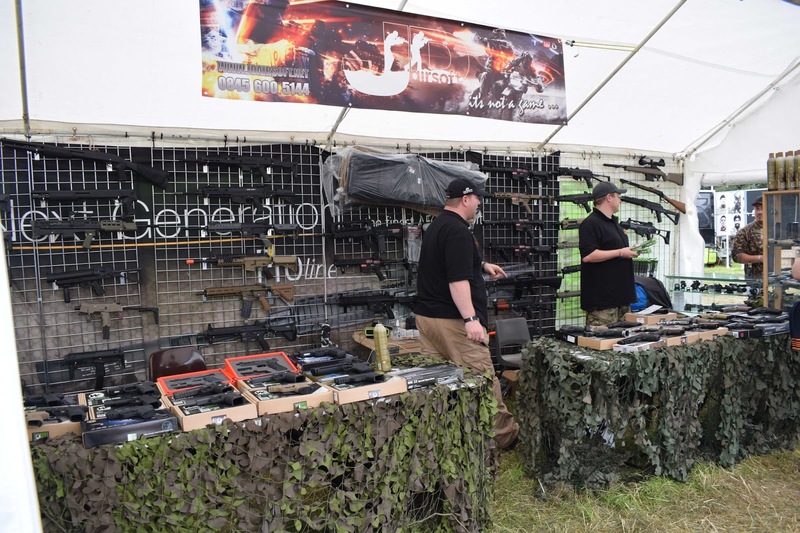 The festival side of the event was my favourite part of the event and is a great experience - it has an almost electric atmosphere. The gameplay from an airsoft perspective is really top notch, the team at Fireball Squadron did a fantastic job organising the games and I will be sure to visit the site in future! 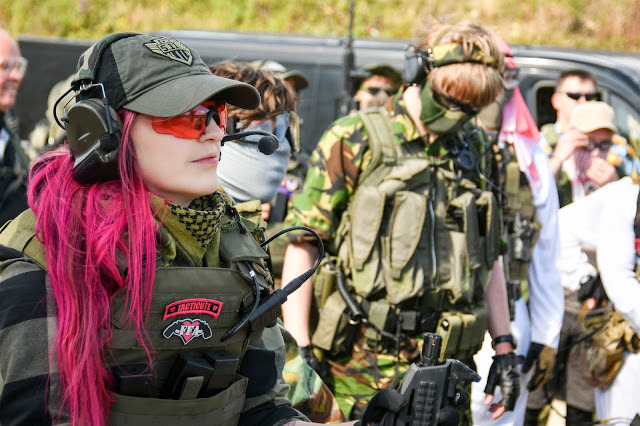 I am glad that I had the chance to experience this event and also get to speak to so many airsofters and paintballers alike. Who knows, maybe next year I’ll give paintball a go and see how different it really is! Hardwick, K. (2017). 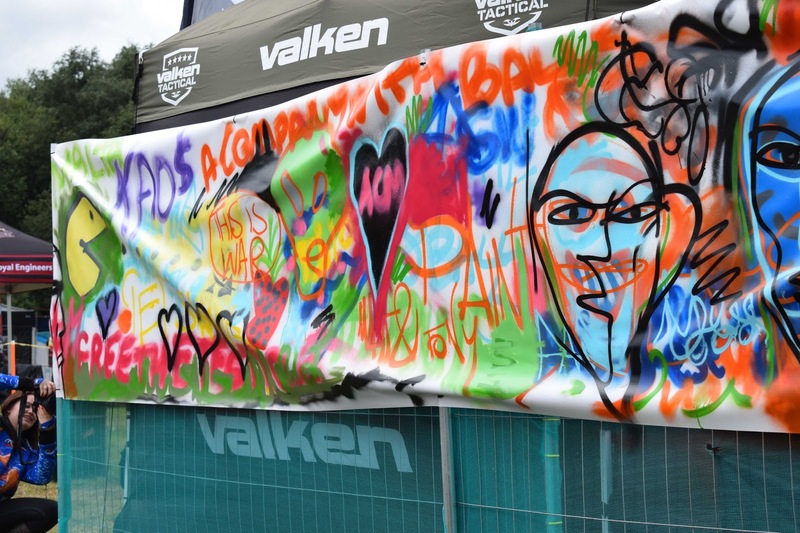 Paintfest 2017!. Airsoft Action. 80 (November), 42-45.